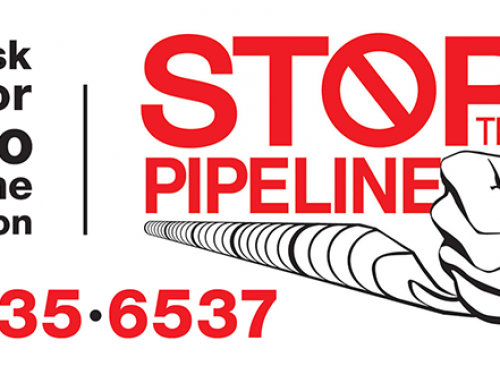 Let them know your thoughts about the proposed “Constitution” pipeline. New Yorkers are against this pipeline. – Over 8,000 written comments were delivered to NYS DEC opposing the project. 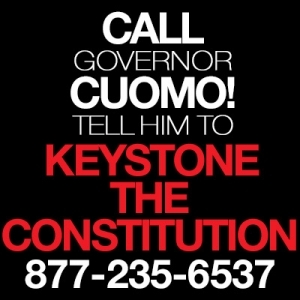 – NYers are outraged that an out-of-state company might be allowed to sieze land by eminent domain for private profit. The pipeline could cause a substantial increase in storm related damage. – This area of central NY is prone to extreme storms caused by climate change. – Prior storms have caused billions of dollars in damage to NY. Project has extensive environmental problems. – 6 state and federal agencies said the project’s Draft Environmental Impact Statement was incomplete. – How could the pipeline be allowed to be built when the NYS DEC described the Environmental Impact Statement deficient? – The pipeline would cross 277 bodies of water and 11 miles of wetlands. Very little of the fracked gas carried by the pipeline would be used in NYS or New England. – Existing pipelines at the “Constitution’s” termination point are constrained to the east and south. – Bulk of the gas would be exported to Canada. Economic problems with NYS relying on fracked gas for it’s future energy needs. – Gas prices will rise if NYS encourages more gas use by investing in and relying on additional gas infrastructure. – Gas prices will go up when already planned gas export facilities are approved. – Prices will rise if NYS builds gas-fired power plants, converts heavy transport to LPG, etc. – Gas reserves in the Marcellus formation of PA are projected to peak within 18 years. – Frack gas infrastructure projects will prevent the state from shifting to renewables. – Renewables create more jobs that fossil fuels. – Frack gas infrastructure projects run counter to the spirit of NY’s Clean Energy Plan.